This is just an opinion, but I think I'm not too far off: chess endings are the most difficult phase of the game. Paraphrasing from the back cover of Polgar's Chess Endgames: "'Fewer pieces, fewer problems' Endgames are proof that this is not the case". Minefields abound, proper tempo calculation is needed, apparently few players bother. This is an opportunity! If one could master, or at least get hold of the ropes, one could confidently, safely anchored in theory, steer the game to an endgame and just watch the opponent flounder and sink. There is yet another obstacle to be surmounted. To use the theory, one must learn it first and many of the books and software out there are beyond even reasonably rated players. I think I have found the book that can get us over the hump. 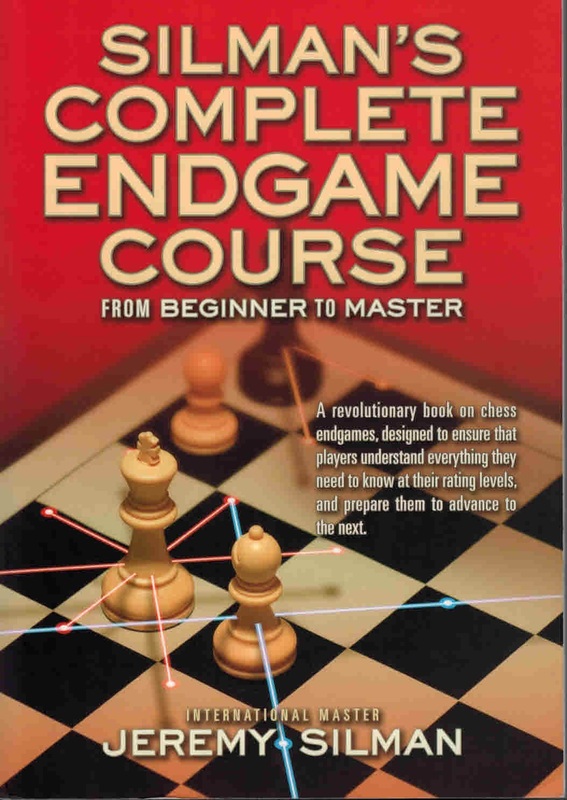 Silman's Complete Endgame Course is one of the most popular endgame books nowadays and with reason. Mr. Silman is a US player, coach and an International Master. Also, he has a clear and very agreeable writing style. His Understanding Chess column in Chess Life was one of my favorites back in the 90s. 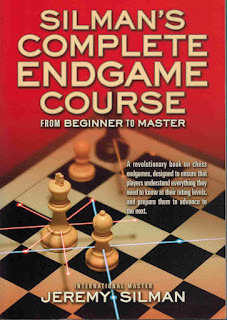 His endgame course book is very unlike others in the field. Instead of starting with pawn endgames and then moving on to minor and major pieces endgames, he rather organizes his material according to player's strength. This is the key of this book. You only have to read when it's appropriate for your level and then move on as your strength increases. Why is this important? First, as said, endgames are very tricky. Starting off at pawn endgames, which are the trickiest of all, can demoralize the reader and even if he somewhat manages to go through the material, it is unlikely to help him much if his strength is not on par with what he just read. Second, lower rated players are the least likely to survive into an endgame. They will probably blast or get blasted in the opening or middlegame, and so need the least amount of knowledge. Better start modestly: If one perseveres, one can learn a little more, and then a little more; all according to what one may need most at any given time. Chess is meant to be fun, and it is no fun when you have to go through reams of variations which do not relate to you. That's another aspect of this book. Only what is relevant is given. Other manuals and books seem to be easily waylaid by beautiful variations or artistic concepts, which ultimately have little practical value. All these are nixed here. The concept is explained and the main line plus two or three relevant variations are given; not more. So, at the end (wink) what must be remembered is very compact. At the conclusion of each rating section there is a chapter summary and some problems for the reader to solve and check his grasp on the concepts. The last two sections do not have problems and are somewhat different than the rest. The first one is geared to master level players and explains some useful strategic ideas rather than concrete configurations. The other one gives chess endgames to enjoy from the greatest endgame players according to the author and some funny tactics & situations. An always useful further reading section is also included at the very last. Having read the whole book, I can say that it really encourages progress. I find it hard to find anything wrong with it. The book size is a minor problem. Two or three positions are scarier than what the author reveals (these are #279, 287 and 291). Does the course really work? Effort and time wise I would say it really does. You just skip all other alternatives and get directly to the juicy parts. Performance wise, in my experience, I have better results now, but still feel I need refreshers, either by rechecking the material or looking for more exercises elsewhere, but my guess is that this would also be true for other books. If you have been a Microsoft Office user over the last decade, you might have noticed a small purple colored program creeping in over time. It might have started, with just a menu item, then an icon in the taskbar. As of now it is still gaining ground on the cloud nearing par with the better-known applications Word and Excel. 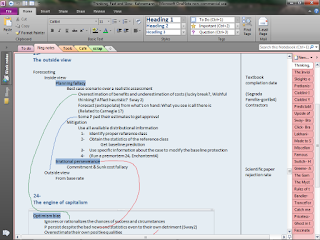 This program is OneNote. 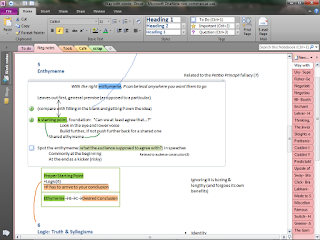 OneNote is a notetaking application. You can think of it as a digital notebook. Remember the ones you used at school back in the day? 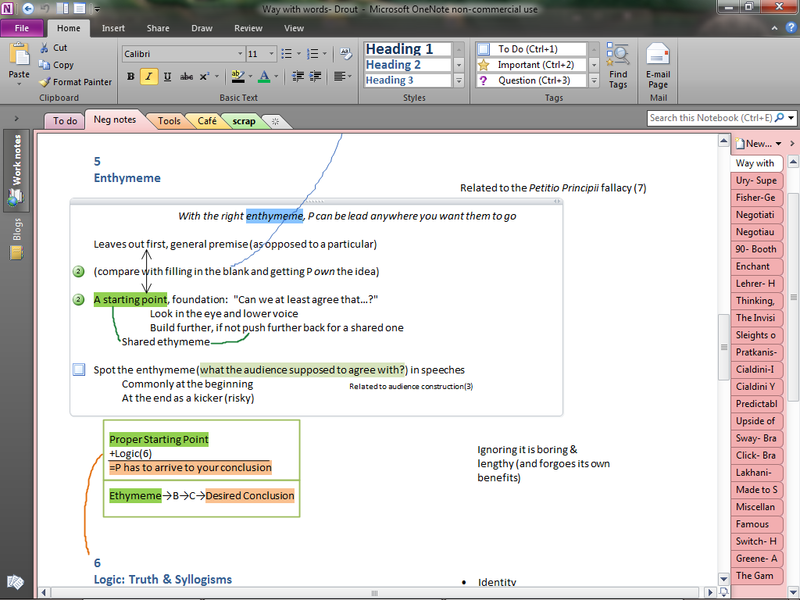 Word already lets you input text and organize your notes, so what's the need for another such program? The beauty of OneNote is that it lets you input text anywhere on the 'paper'. You are not limited to guidelines, paragraphs or even paper size. This is a boon, because it lets you convey your creative ideas just as you want them, and just as you would using pen and paper. And that is just half of it. The other half is that when you have those notes you care about in the program, you can easily search through them with just a keystroke, or mouseclick. Oh, and it is not just text. You can also insert pictures, videos, sounds, math formulas and doodle around. If you are blessed with a handwriting that the computer likes, it can even digitize it into searchable text. Once I began to dig deeper into it, I began to pass all my notes to it. Even if I use pen and paper initially, if I really want to keep what I have written, I promptly transcribe it to OneNote. And there is another benefit: your notes are always neat. Rearranging and deleting do not result in smudges and unsightly pages as would in physical paper. And still more: Access. With the current shift to cloud computing, you're not condemned to have your notes locked up in your desktop's hard drive. Via Microsoft's free SkyDrive service you can save your notes to the cloud and make them available to your other various devices, such as tablets and smartphones. Doing so also lets you have multiple people work on the same notes simultaneously. A great way to collaborate. Synchronization is automatic. So far I have only tried the iPad app on the mobile front. This one still has a long way to go, but you can edit and read your notes, even if they are displayed not quite right. Doodles and ink notes are not supported as of now and tables can only be viewed but not edited. Also, it can sometimes be slow regardless of your Internet connection speed. Too much processing going on I guess. If your device has a full-fledged browser, you can log on to your SkyDrive account and have more functionality there. The only other downsides to OneNote as a whole that I have come across, is that there is no search-and-replace feature and that synchronization can sometimes have conflicts. For me, these are minor complaints. There are a fair amount of alternatives to OneNote. One of the best-known is Evernote. Its main virtue is its ubiquitousness: you can get it for about any platform out there, which lets you easily consolidate what you jot down on the go with everything else. You can also include audio, photos, which are text searchable, and videos. 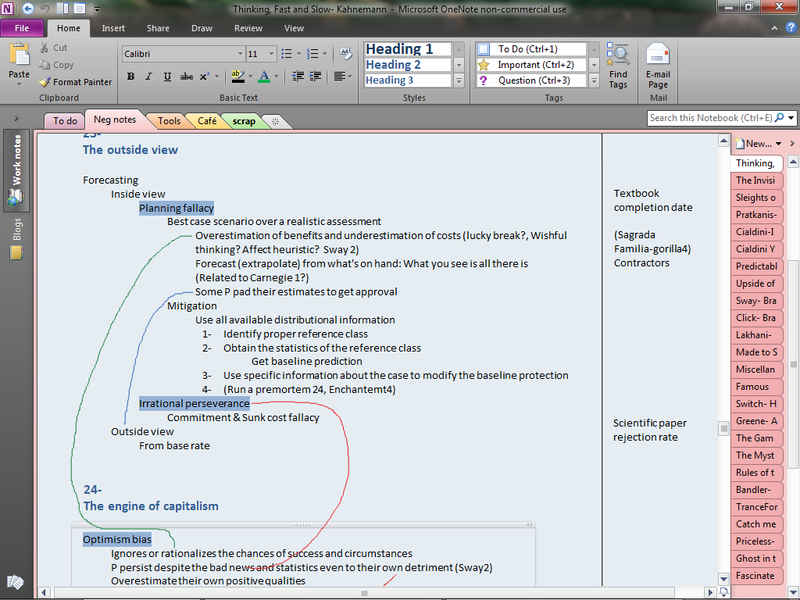 Having said that, it only has limited functionality and doesn't compare with a full-fledged features in OneNote. There are free and paid versions of this one. Gave it a few tries, didn't like it. I have not tried this one, but it looks very interesting. Almost as a clone of OneNote! If you hate mainstream programs, check out this one. Free for personal use. For us, computer users, there is a group of four or five core programs that are so useful that figuratively we cannot live without. Each of us has different preferences and needs which reflect in what we use. The rise of mobile devices and applications has shifted the focus towards smartphones and tablets, but there are still some persons, like me, that prefer the larger screens and more computing power; that is why my core programs are still run on a PC. 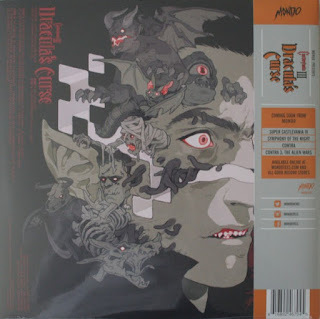 I thought to review them for anyone out there who is listening, because these might prove useful to them too. I'll start in this post with my macro program. I'm a man of routine. No, I don't mean that I'm boring, but that I lean towards a more ordered life. Part of that is trying to eliminate wasted time. Doing the same things over and over again can take big chunks of your life. Now, that's boring. Even with computers, most people still have to fire up the machine, open the browser, open the several favorite webpages one reads daily, navigate within those, write several mails with perhaps identical headings if the job requires it, and once in a while process a large number of items, such as files or filenames, cell contents in Excel, or the like. Wouldn't it be wonderful if one could achieve this and more with just the press of a button and more efficiently to boot? Well, this is what a macro program can do for you. My favorite macro program from the start, bar none, is Quick Macros. 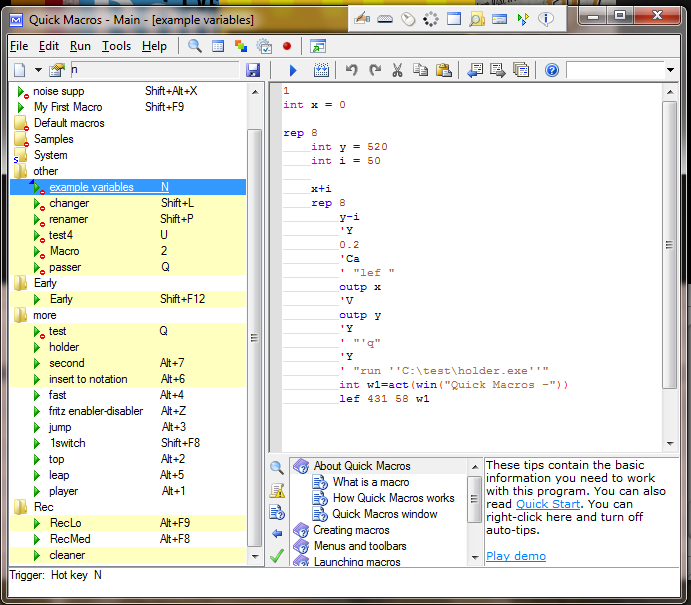 Quick Macros is developed by Gintaras Didzgalvis and as of this writing is in version 2.3.3.7. I first began to use it back in version 1. It is lightweight yet powerful. For my purposes I only use a sliver of its potential, yet, I doubt that anyone who gets deep into it will be disappointed. It is accessible, requiring from you just some basic programming concepts. Writing a macro script is fast. You can write something useful within a minute or something more elaborate if the task requires it. The language is clear and intuitive. 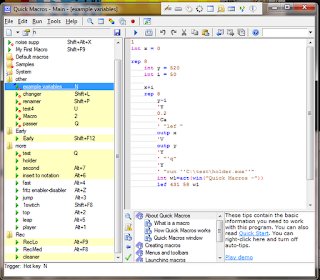 The code itself is color-coded for easy navigation. For those less inclined to programming, there is a handy integrated recorder that lets you record the precise mouse movements and keystrokes you wish to replicate in the future. With just that you are good to go. There are several triggers for launching a macro. You can trigger one with a keystroke, mouse click or movement, window event, and even by time. The macro runs until it finishes, gets stuck, or if you decide to end it prematurely by pressing the pause key. If the need arises, you can export/import the macro files or even make a .exe file to run on another computer that doesn't have quick macros. The documentation is a bit abstruse, but by looking at the examples one can figure out what each function does most of the time. There is a forum at its homepage with active participation of Gintaras. Answers to most questions can be found there, which sometimes take the form of "how can I…?". Probably the biggest caveat is that you cannot run two macros simultaneously. Yet, most of the time one can think of a workaround. Also, do not assume that the macros work instantaneously. They do take their time following the script you give them, which can take a while for longer ones. This is normal and still a much better deal than doing the tasks by hand. If I remember rightly, it takes a 10th of a second to pass from instruction to instruction; what takes a longer while is waiting for events to happen, such as waiting for a window to be created. So far I have used it to launch Internet radio at a certain time, install media players and other programs quickly, resize several windows to a preferred layout, automate futures order entry, play chess with just my voice (more on that on a future post), fill in databases easier, kill pop-up windows, and even edit other macro codes within the same QM screen. The most obvious alternative is Autohotkey which is free. I tried it a couple of times, but I found the learning curve much much too steep and the flow of writing and launching more difficult. Nonetheless, it also has great capabilities. AHK once could pull off something that I just couldn't get QM to perform. This is paid software ($40), but you can try it out free for 30 days. If you're in need of something of this sort, it is well worth it. During my childhood, my family had a cherry tree in the garden and I liked it much. These are also very popular over at Japan. They believe them very beautiful and frankly, they are. When they bloom, they are a sight like no other. The pink petals, which are soft and delicate, blow with the wind in spring. It may come to a surprise that these petals can be collected and added to foodstuffs such as pastries. Accordingly, it is not a too much of a stretch to have them in your tea. Tokyo Printemps (the name will surely vary from merchant to merchant) is a cherry flavored Japanese green tea sencha. I gave it a try after giving it a sniff at my local provider. The green leaves are mostly whole and so are the dried petals. Most of the flavoring appears to come from added essential oils. The aroma, unsurprisingly, is cherry like; but when I open the packet at home it gives me an unusual sensation: I feel as if I'm unwrapping a present from a loving daughter. True! For a pot you need about the usual quantity of leaf. The taste is also like cherries, but not so much like the fruit itself. The grassiness of the green tea is subdued or almost entirely cloaked. Care must be taken to not oversteep it as the flavor can get overly intense resulting in what I would call cherry sting. I believe this would make a very good tea for a morning tea party. The downside, at least for me, is my own palate which has been accustomed to years of artificial cherry flavoring in medicines and the like. When I drink it, I am sometimes reminded of those; and medicine is not something you want to be reminded of when drinking your pleasant tea. The case is also similar to that of the Soleil Levant from Hediard, which instead of tasting like oranges, tastes like children's medicine. I know, I know: it is the medicine that tastes like oranges, not the other way around. With the Printemps, you can avoid this by not steeping it too much. Oh, there is also the lesser a complaint in that it is not fit for re-steeping. If you're a cherry fan or at least have a passable interest, do ask for this tea, but if you're like me you might probably want to pass on this one and just watch the flowers.